As a native of Siler City, Nichol Price is especially invested in the future of her hometown. Like everyone else who calls Chatham County home she wants to see her community grow and prosper. During her training in the culinary arts program at Central Carolina Community College she began to notice the abundance of small farms producing high quality vegetables and grass fed meats in her area. When she saw an opportunity to open a restaurant in the old Sidewalk Café location in historic downtown Siler City she realized it was not only as a chance for herself but for the community on a whole to increase their support of their local food system. Price’s goal at Succotashed, her new café, is to bring the products grown nearby directly to restaurant go-ers right there in Chatham County. Succotashed will be the first “Farm-to-Fork” cafe in Siler City. This environmentally-friendly model has worked extremely well in the nearby Triad and Triangle areas, but has yet to be introduced in this small Chatham County town. As a chef, Price is thrilled at the opportunity to showcase what she learned in CCCC’s Green & Sustainable Foods program and hopes that Succotashed will have a positive impact on Siler City’s local economy. In order to raise the capital she needs to purchase equipment and get Succotashed off the ground, Price started a fundraising campaign on Indiegogo. She hopes to raise $9,500, which will be used to purchase equipment to outfit her kitchen – such as a convection oven and energy-efficient commercial refrigerator. With 12 days left, her Indiegogo campaign is currently one-fifth of the way to reaching her goal, but Price hopes to get as close as possible before time runs out. Price also reached out to Carol Peppe Hewitt, director of Slow Money NC, for help. Slow Money NC specializes in helping local farmers and food entrepreneurs around the state to connect with potential investors in their communities. Hewitt and Price are teaming up to present a Sneak Preview of Succotashed on Thursday, March 14 from 5:30-7:00 pm at 113 Raleigh Street in Siler City. This event is free and open to the public and will allow interested community members and potential investors to see the café, meet the owner, and talk about the importance of supporting Siler City’s local foodshed. Carol on her LinkedIn profile, Smile! But for months/years? I have been getting invitations from random people, many who I respect and think are quite intelligent, inviting me to Link In somehow. But why? As best I could tell this was a site for folks who are looking for work, or for professional connections – and those who are looking for potential employees. So I pressed ‘delete.’ As an independent, small business owner for the past several decades, and a raging social activist prone to frequent and uncontrollable ranting and raving, I can only assume I am completely unemployable. But the requests kept coming, and many were from folks I would love to do more than just ‘accept’ but who I would be delighted to spend the evening with – commiserating about the challenges we face as we try to save and nurture our lovely planet and all her species, and to also pat one another on the back for the pitiful, but real progress we make along the way. So we can keep on keepin’ on. And I updated my profile. Here’s what I wrote, keeping it under the 2000 character limit. “Since learning about “Slow Money” in May of 2010, I have been meeting sustainable farmers in North Carolina who need capital (in the form of a direct peer-to-peer affordable loan) and connecting them to the generous people in their communities who understand the importance of protecting fertile topsoil, and who care about supporting local farmers/local food. It has been a wild and busy couple of years – creating, and now riding, the Slow Money NC seesaw. First we found potential lenders who cared about soil fertility, local food, and building resilience in their foodshed. Many were also fed up with sending money off to Wall Street where it had no positive impact on their community. Then we found hard-working, deserving farmers and innovative local food entrepreneurs (often in the same person) who just needed a few thousand dollars to start, run or expand their business – but had few, or no, places to turn to for help. And we introduced them to one another. 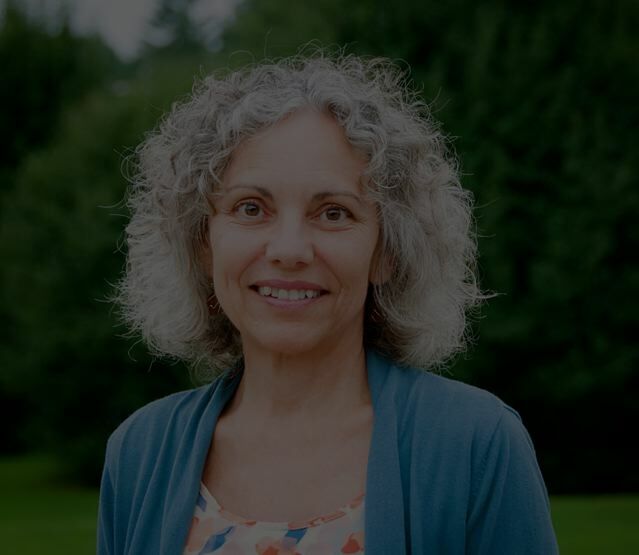 If they chose – a low-interest loan was the result, over a plate of gluten-free cookies, or standing in a field looking at a potential greenhouse site. 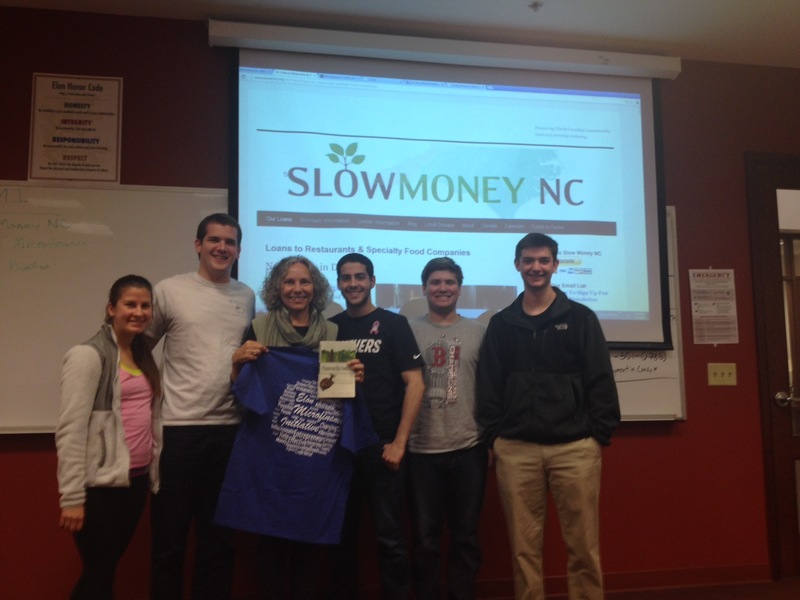 You can read about our antics at http://www.slowmoneync.org. If you got this far, I also hope you are chafing at the bit to make a Slow Money loan. There’s a place to tell us that at the website as well. Not a lender today? No worries. Any donation helps ‘pay it forward’ and you can help make next week’s loan happen. Either way, it’s a wonderful prospect that we just might get a trillion dollars or more out of Wall Street and into local farms. It would transform our grocery stores, our collective health, our planet’s ability to sustain us as a species, and it would be so much fun. There you have it. Now it is time to get back to reading Borrower Information Forms, and potential Lender Pledge Forms and seeing who might want to meet and talk to whom. And making those powerful connections. 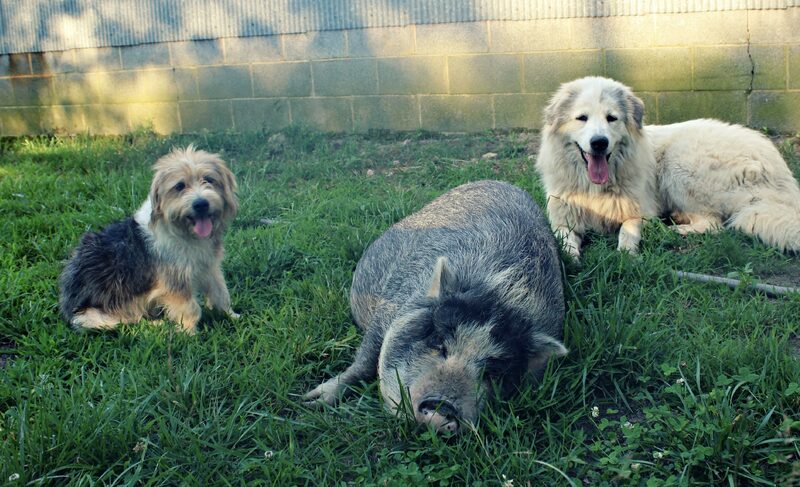 Here at Slow Money NC we have our own little private link-in to the small farm/local food movement. And we have work to do getting them the community capital they need to start-up, to survive, and to thrive. That’s the real work on this seesaw. Thanks to all of you.